The Hero Glamour was a resounding success, back in the days when the 125cc segment was maturing. 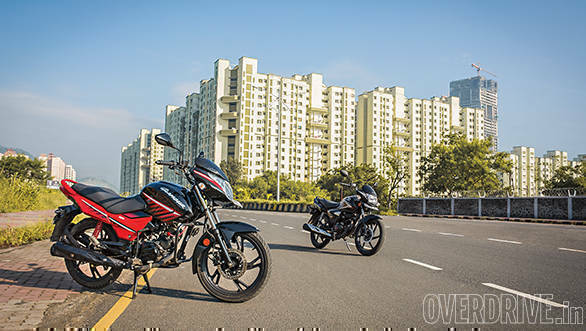 Its distinct styling and frugal motor made it an instant hit with the masses and, to date, it's been one of the most successful 125cc motorcycles in the market. 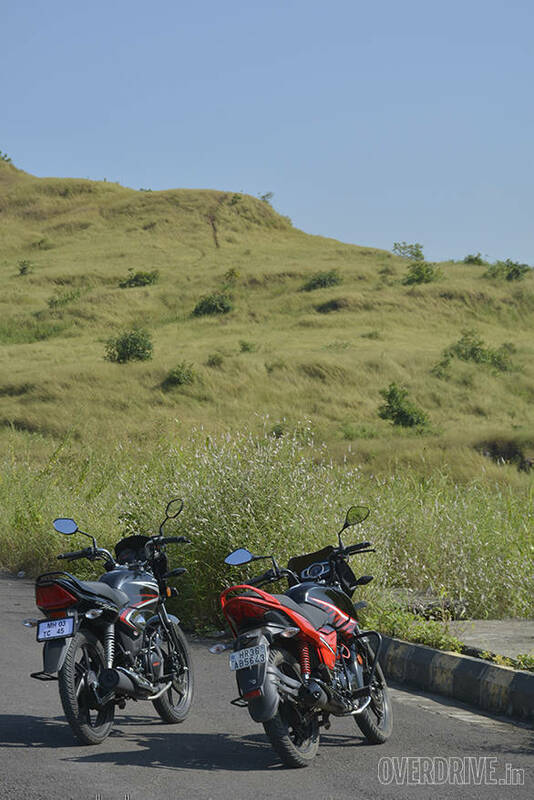 Hero's erstwhile partner, Honda launched the Shine a few years later and it soon rose to the top of the segment. The peppy motor, Honda's legendary reliability and unmatched brand cachet saw the Shine's popularity soar high. 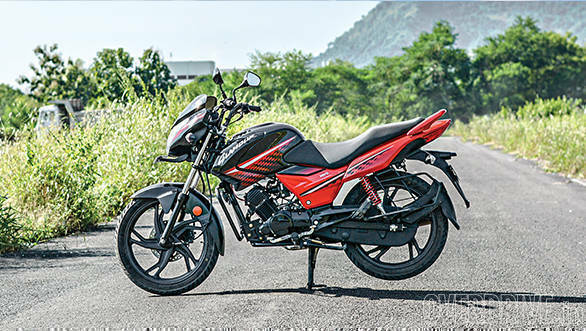 Hero recently launched the all-new Glamour to take on the Honda Shine in the burgeoning 125cc segment. Is it good enough to challenge the might of the Honda? Let's find out. There is no denying that Hero has played the 'presence' card here, because, the Glamour is sure to catch your attention in the sea of 125cc motorcycles. 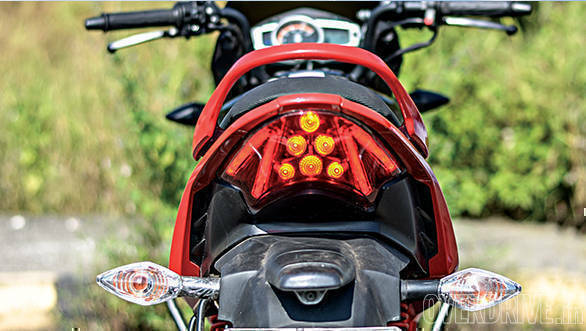 The large, bikini fairing, chunky fuel tank and flared panels add visual mass, so much so, that you'd easily mistake the new Glamour for a 150cc motorcycle. The dual tone paint job looks good whereas the fit and finish is from a segment above. The split-spoke, alloy wheels look good and the LED tail lamp adds to the premiumness that the Glamour exudes. That said, the switchgear, looks dated and Hero could have opted for a better and modern unit. The gloss black finish heat shield on the exhaust pipe is also an odd choice of material as it'll be a pain to keep scratch free over a period of time. The Honda Shine is in stark contrast to the glamorous, er, Glamour (this was bound to happen!) Its relatively conservative design is meant to appeal to a wider audience and I think the minimalist graphics are a light to the eye. That said, the Glamour looks fresh and its presence is what appeals to me. 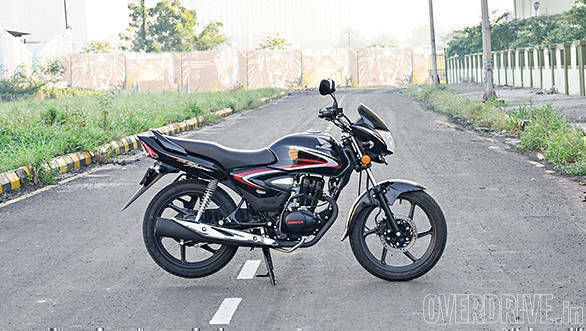 The Honda CB Shine also falls behind when it comes to features as well as fit and finish. 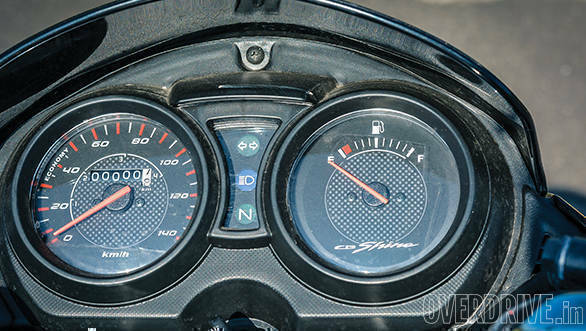 The analogue clocks look dated and the plastics around the instrument dials feel a bit cheap, in comparison.When you consider the Hero Glamour's features such as the analog-digital instrument panel and Hero's i3S stop-start, you instantly get a feeling that you the Glamour offers a lot more for your money, which tips the scales in favour of the Hero. The Hero Glamour's 124.7cc engine produces 11.4PS and churns out 11Nm of torque which makes it the most powerful engine in its class. 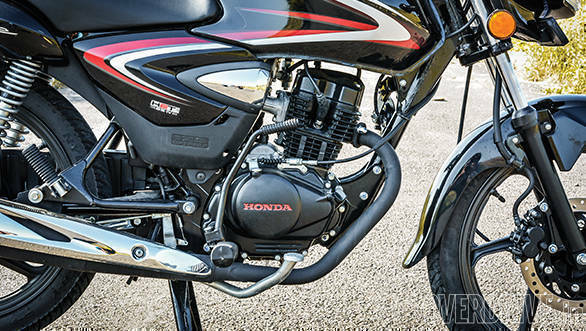 The Honda CB Shine's motor also displaces 124.7cc, however, it produces 10.16PS and 10.3Nm, marginally lower than the Glamour. What separates the two bikes, is the way the power is delivered. The Glamour feels marginally quicker off the line and the power comes in a linear fashion. Acceleration through the gears is brisk and the bike sprints from 0-60kmph in 7.4s. 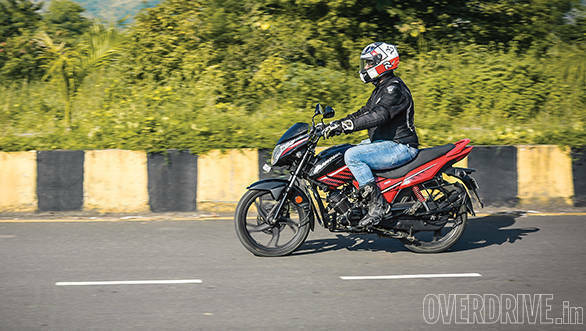 The Honda Shine did not feel as sprightly as the Glamour but our 0-60kmph time of 6.87s clearly indicates that Shine is the quicker of the two. The difference in acceleration times are marginal and CB Shine's 4kg weight advantage over the Glamour is also one of the reasons why it is quicker. The Honda motor is surprisingly vibey, especally at high speeds. The CB Shine is also more fuel efficient and it delivered an impressive 59.4kmpl in the city and 63.8kmpl on the highway. The Glamour only managed 52.2kmpl and 59.1kmpl in the city and highway runs, respectively. That said, the one gripe I had with the CB Shine's motor was the vibration. The CB Shine hates hard acceleration or continuous high speed highway runs. At 80kmph and above, the vibrations in the handlebar, foot pegs and seat are pronounced and after a while it gets quite annoying. The Glamour, in contrast, does not mind being pushed hard and it's only at the limit where you notice vibrations, that too only in the foot pegs. However, it does not get bothersome, at any point, and it's this smooth nature of the Glamour's motor that makes it a joy to ride, both in the city or on the highway. Both motorcycles here employ telescopic forks upfront and adjustable twin shocks at the rear. It's the setup, however, that sets them apart. 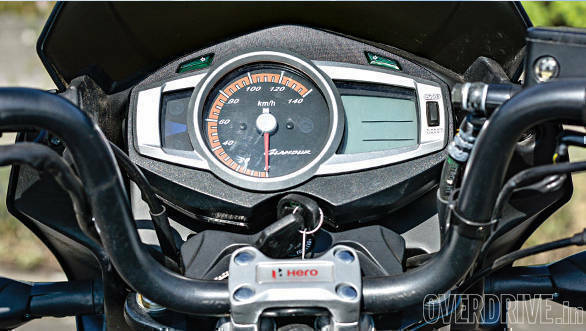 The engineers at Hero have done a remarkable job in tuning the suspension to tackle the worst of Indian roads. The Glamour is softly sprung and it simply glides over potholes, undulations and broken surfaces, with the suspension soaking up everything without upsetting the motorcycle. Usually, a motorcycle tuned for comfort would result in lazy handling, but the Glamour springs a surprise when you start to push it. 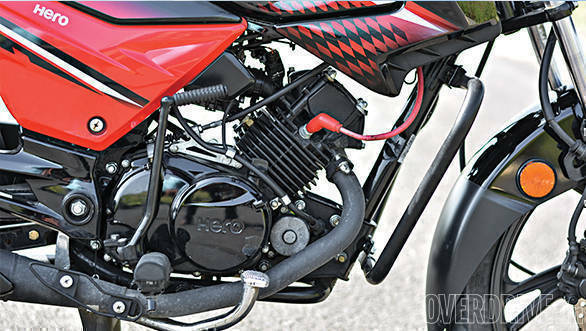 The bike is eager to tip into corners and holds true to an intended line without any drama. The feedback from the chassis is terrific and it's amazing how Hero has managed to find a good balance between ride and handling. Another factor that makes the ride involving is the riding position. The scooped seat allows you to sit into the motorcycle and the large, sculpted fuel tank offers enough purchase for your knees to hold on. The overall position makes for an involving ride and that, to me is an aspect that a motorcycle should offer. The Honda Shine, on the other hand, is sprung on the stiffer side. The suspension does not soak bumps as well as the Glamour and what also compounds the problem is the seating position. 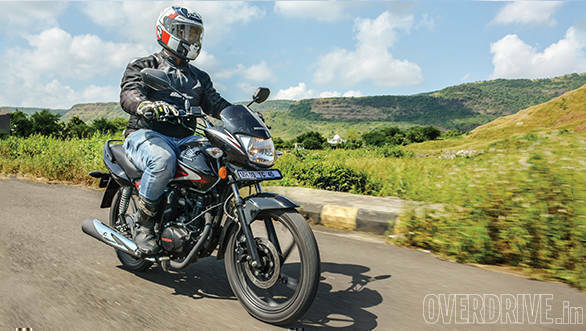 The flat seat is not very supportive and the feeling of sitting on top of the bike, instead of in it, does not inspire a lot of confidence when you tackle potholes and what have you. The CB Shine is not bad at tackling corners too, but the skinny tyres and upright seating position rob you of feedback and in turn confidence. Given the target customer's preferences, the Glamour's supple ride works in its favour with the communicative handling serving as a bonus. Both bikes get 240mm front discs, but the Glamour's brakes offer far more feedback and progression than the brakes on the CB Shine. The Honda CB Shine is an established and well-rounded product. It's been around for quite a while now and its proven reliability is one of its strongest assets. It is also the more fuel-efficient of the two bikes and if that's your sole criteria for choosing a motorcycle, look no further than the Honda. In every other aspect, however, the Hero Glamour is miles ahead of the CB Shine. Its fresh styling sets it apart from the staid looking CB Shine and the feature list is much better too. The engine is more refined, the ride quality is better and the handling is a lot more entertaining. At Rs 75,581 (on-road Mumbai), the Glamour costs Rs 1,500 more than the Honda CB Shine. For that little extra you get a lot more and that makes the Hero Glamour the obvious choice.